Looking to improve your golf game? Let Patty Snyder and Mark Hatala, our LPGA and PGA golf professionals be a part of your development. From individual private lessons to small groups and clinics, they have what you are looking for. Come and learn the game in a fun and friendly environment! Call Patty at 916.521.4715 or email at playthrupro@yahoo.com. You can reach Mark Hatala at 530.295.7359 or mshatala@gmail.com to schedule individual, group or corporate lessons. Patty’s teaching method is to keep it simple, staying with the basic fundamentals which enable the student to learn and retain the information. Her sense of humor puts her students at ease and makes for an informative and fun lesson. Patty has been an LPGA Teaching & Club Professional Member for 35 years and after having LPGA Class A status for 20 years has earned the classification Life Member. Come and learn the game in a fun and friendly environment.Call 916-652-5546 to schedule a lesson. PGA Golf Instructor, Mark Hatala, now in his 25th year as a PGA Class A Member, started his career at The La Costa Resort & Spa in San Diego. Being at La Costa enabled him to learn from some of the best instructors including Carl Welty of the La Costa Golf School. Throughout Mark’s career he has attended seminars presented by the top teachers in the game, such as Jim Flick, Butch Harmon, Gary Wiren, Dave Pelz, Jim Hardy, Michael Breed, and Dana Radar. He also had the opportunity to work with Craig Bunker and Donald Crawley of the World Famous John Jacobs Golf Schools in Mesa, Arizona. Mark was the Head Coach for the Oak Ridge High School Girl’s Golf Team, guiding them to two Sac-Joaquin Section Titles, three consecutive Sierra Valley Conference Championships and a fourth place finish at the California State Tournament in 2005. He was also named Coach of the Year two times by the Sacramento Bee. Mark has an outstanding reputation as a golf teacher, mentor and coach and feels the key to helping students is to demonstrate a sincere interest in their golf game and to provide helpful communication focusing on their strengths and weaknesses. He believes in keeping the golf swing simple, focusing on golf fundamentals and having students set goals. 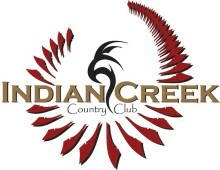 He offers private golf lessons and group golf lessons for golfers of any age and ability. Click here to learn more about his teaching philosophy and rates. Send Mark an email or call him at 530-295-7359 to arrange a private golf lesson or group golf lesson.